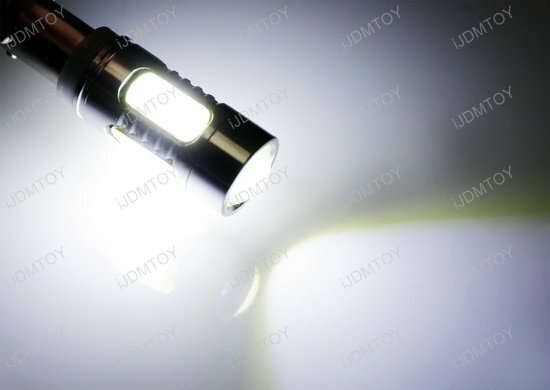 Special designed projector head, make the LED bulb shine even brighter! 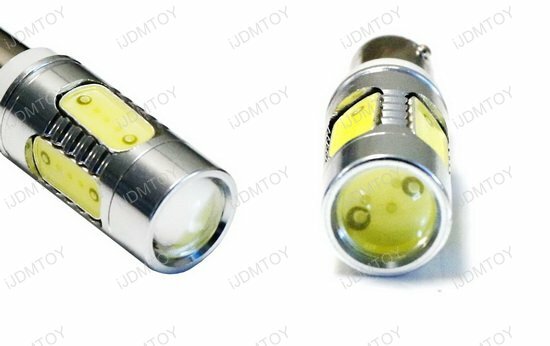 Q: What car will these LED light bulbs fit in? A: The extremely bright 7.5W high powered projector LED backup reverse light bulb is made to fit the 2016 and up Honda Civic 2-door coupe. Q: I have a Honda Civic sedan/hatchback. 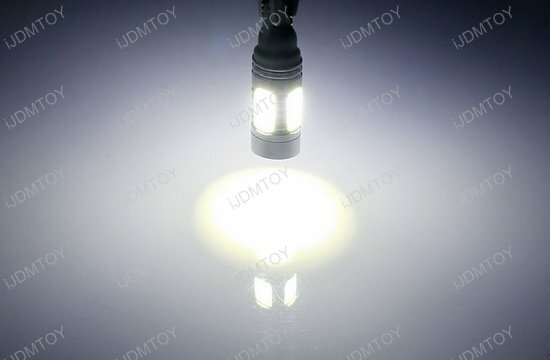 Will these LED bulbs fit? 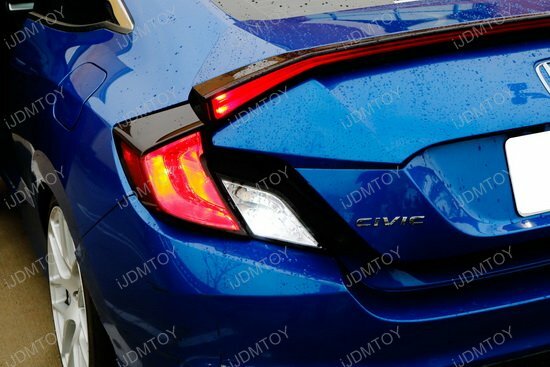 A: This LED backup reverse light bulb is designed to fit in the Civic coupe ONLY and will NOT fit the Civic sedan or hatchback. We recommend the 360-degree plasma error free LED bulb as an alternative. Q: How do I install these LED bulbs? Step 1: Open your trunk to remove the tail light housing. Step 2: Pull out the stock bulb you'll be replacing. 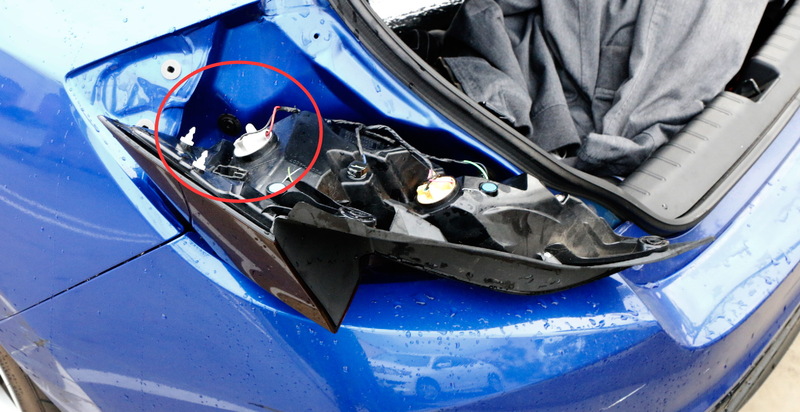 Take out the lower harness circled in red below. Step 3: Replace the stock bulb with the LED backup reverse light bulb. Step 4: Test the LED bulbs to make sure they light up. Once you confirmed that they do, place the tail light housing back to finish. Q: Why won't the LED bulb fully go in? 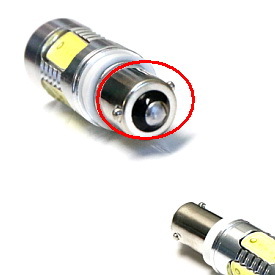 A: The projector LED bulbs have offset bumps. Make sure you line up the offset bumps with the socket grooves and it will go in. 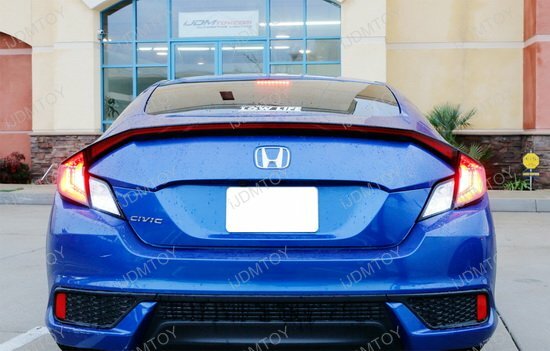 This page features the extremely bright 7.5W high powered LED back-up reverse light bulbs for the 2016 and up Honda Civic coupe! 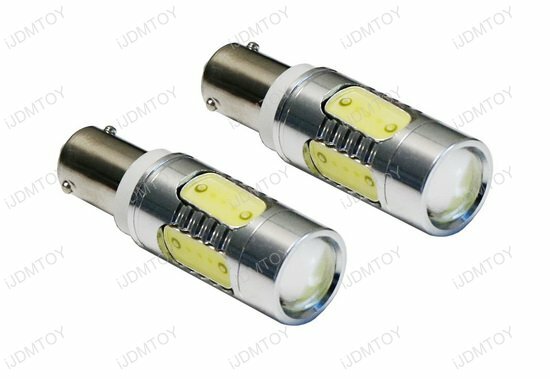 This set of LED back-up and reverse light bulbs is powered by 7.5W high powered COB chips and shines in 6500k xenon white. With a specially designed projector head, the LED bulb shines even brighter! 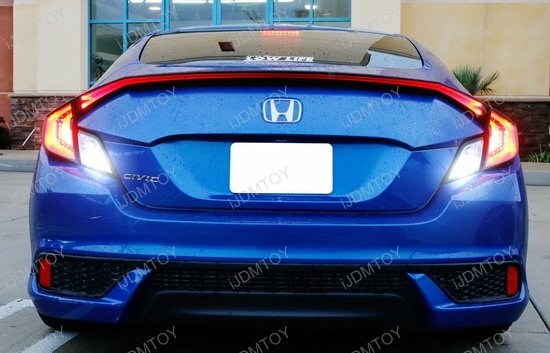 The 7.5W projector LED back-up reverse light bulb is fit for the 2016 and up Honda Civic coupe (2-door). This will not fit the Civic sedan or hatchback.